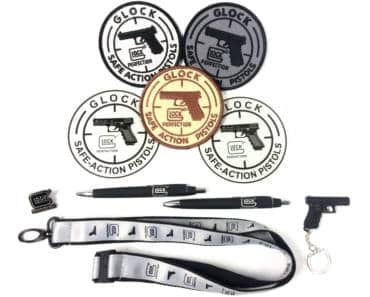 Get A FREE Glock Promo Pack. Fill out the form to get a FREE promotion pack from Glock. The promo pack might include patch, lanyard, gun keychain, pen, pencil, sticker, and pin.